Is it More Beneficial to Get Divorced in One State Versus Another? Many people mistakenly believe that if they want to get divorced they are required to do so in the state where they got married. If you’re considering filing for divorce it is important to realize that this is not the case and that most people file for divorce in the county where they currently reside. However, before you run down to the local courthouse and file for divorce it is critical that you stop and take a second to evaluate your options as you may be eligible to file for divorce in more than one state. What’s more, filing in one state over another may be more beneficial to you given the circumstances surrounding your divorce. Determining where it is most beneficial to file for divorce can be a rather complex process as you must first assess which states have the jurisdiction to grant your divorce and then compare the various divorce laws of these states. Therefore, we recommend that you read through the remainder of this article and then consult with a local divorce attorney about where it would be most beneficial to file your specific petition for divorce. If you and your spouse live in different states and you are eligible to file for divorce in more than one state it is important to realize the potential benefits that may be obtained from strategically choosing which state to file in. These potential benefits stem from the fact that each state has their own divorce laws pertaining to important issues such as spousal support, child support, child custody, and the distribution of assets and debts. Who Can Get Divorced in Florida? When a couple petitions the court for a divorce here in Florida they are technically requesting a “dissolution of marriage”. In order to be eligible to receive a dissolution of marriage in Florida the couple must meet our state’s residency requirement, which requires at least one of the spouses to have lived in Florida for at least six months before the petition to dissolve the marriage is filed. If this residency requirement is not met then the court will not have jurisdiction to hear the case and will have no choice but to dismiss the petition. 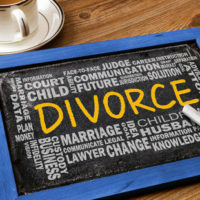 However, it is important to note that just because Florida has jurisdiction to divorce the couple, it may not have jurisdiction over other issues in the case such as child-related issues and economic issues. Deciding where to file for divorce is just the first of many important decisions that you will need to make if you plan on ending your marriage, however, having an experienced divorce attorney by your side to advise you can make these arduous decisions much more manageable. Here at the Law Offices of David L. Hirschberg, P.A. we recognize that the entire divorce process can be filled with tension so we pride ourselves on being uniquely available to our clients while counseling and guiding them every step of the way in order to make their divorces as painless as possible. To find out what our firm can do for you set up a confidential consultation at our Boca Raton office by calling (561) 288-8620 or filling out our online contact form.